From a design point of view, car washes are rarely inspiring places. Yet this is the exact reason why excellent design can make them stand out. 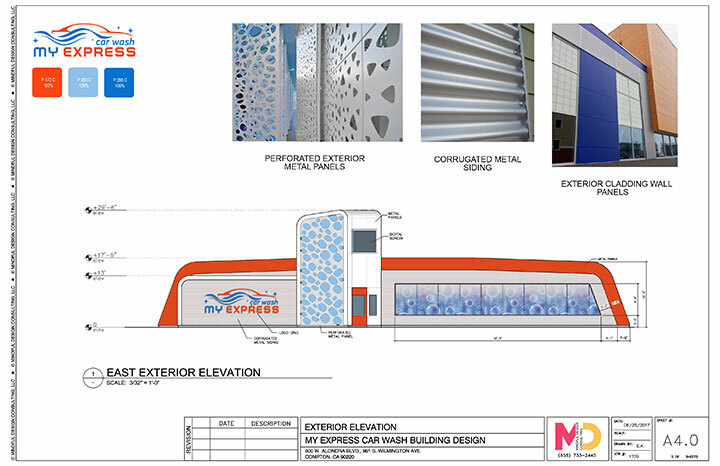 It is the case of the new My Express Car Wash concept in the Los Angeles area (800 W. Alondra Blvd. 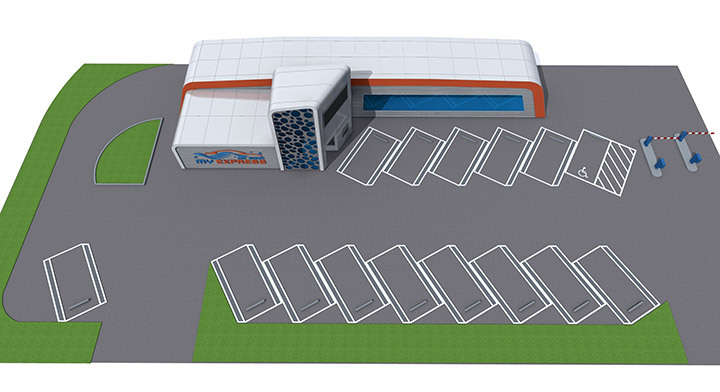 and 961 S. Wilmington Ave. in Compton), a concept that we developed with color and modern lines in mind. 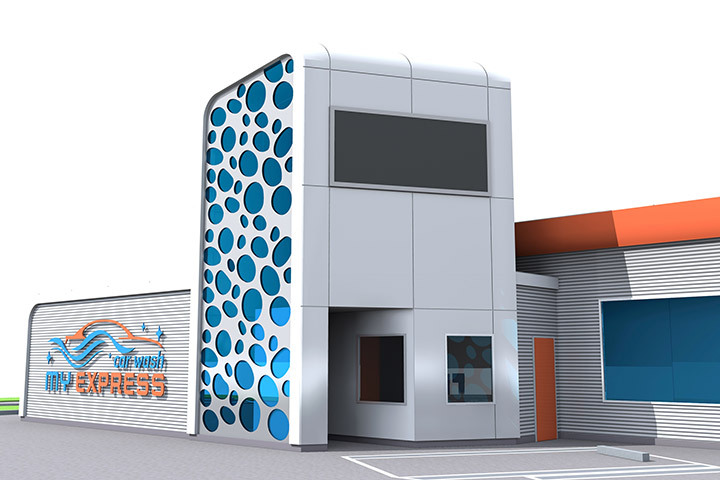 Working with the Bellflower-based architecture firm Karnak Development, we defined our vision – a building that attracts the eye with a combination of contrasting colors, curved lines and unexpected details. Chromatically, we chose orange and blue, two complementary colors paired for dramatic effect. The high contrast and the vibrancy of their tones make the car wash easy to spot and highly recognizable. Toned down by the gray background, the two colors are part of the company brand. 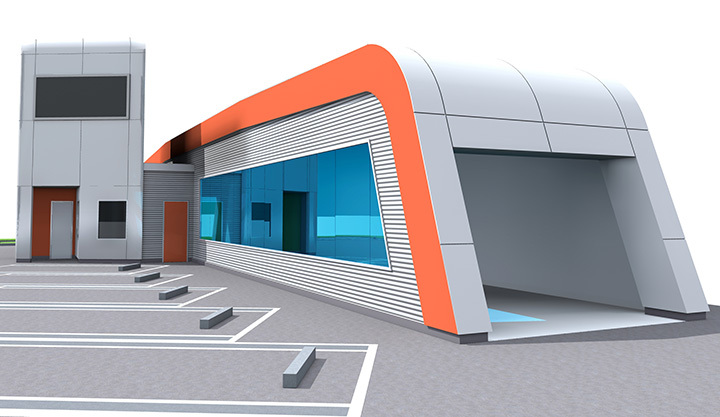 Cladding wall panels give the exterior of the building a finished look, with corrugated metal siding that brings in visual variation with its 3-D structure. However, the most striking detail is the presence of the perforated exterior metal panels that cover the exterior of the entrance building. The cutouts call to mind the shape of water drops and give the building its unique character. The lines are soft, slowly turning from curved angles to straight lines, as if extending an invitation to come in. 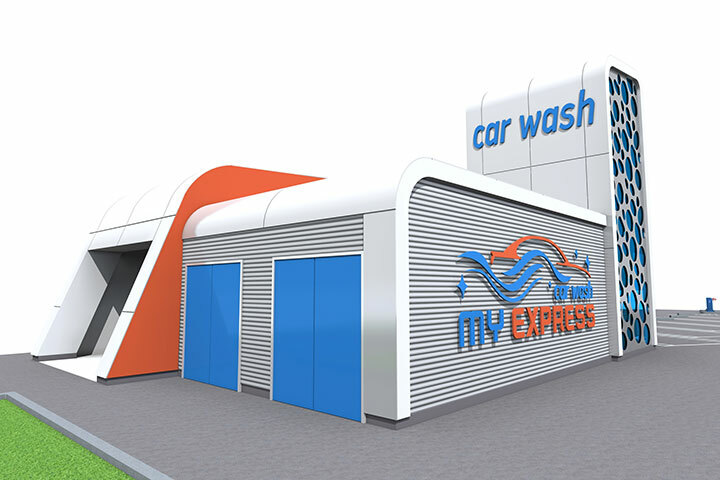 This is a perfect solution for improving on the basic car wash, with its typical harsh angles and little visual appeal, while keeping the design modern and simple. 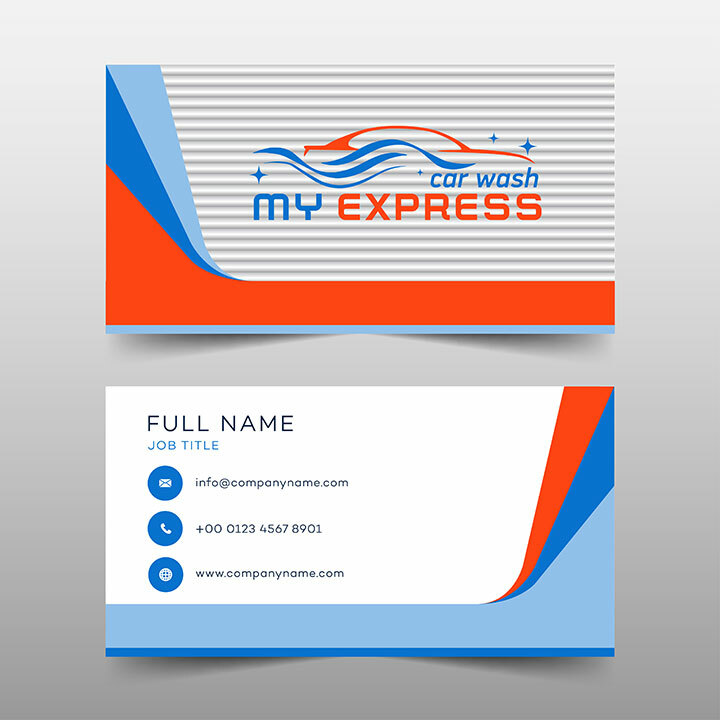 The same modern lines and strong colors can be found on the business card that we designed for the company. The logo, combining the curves of water waves with that of a car against a background that evokes the metal siding, has the same minimalistic quality.